The Traffic Incident Management Enhancement Task Force outlined several action plans that local leaders can begin acting upon right way. 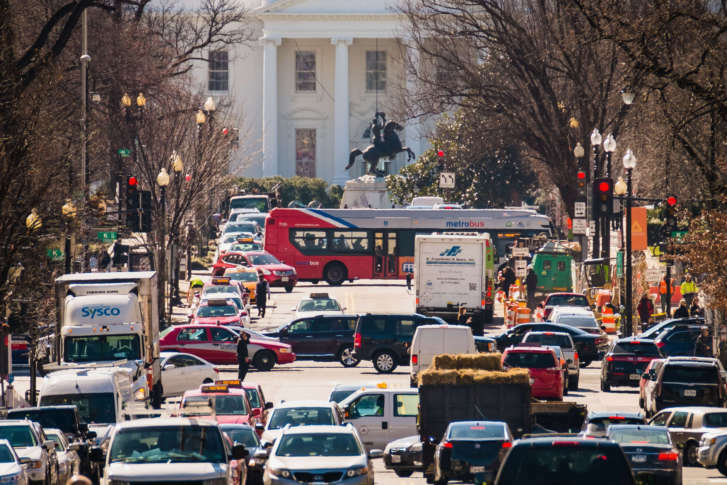 WASHINGTON — Motorists waste so much time in D.C.-area traffic, and a Council of Governments task force that has recently released suggested solutions for easing congestion has an ironically appropriate acronym: TIME. The Traffic Incident Management Enhancement Task Force outlined several action plans that local leaders can begin acting upon right way, as well as a handful of other areas deserving of additional study and discussion. Some suggestions require legislative action, such as giving road crews in D.C. and Virginia permission to respond to scenes with flashing lights and sirens. When traffic backs up behind an accident in Virginia, crews that get caught up in the congestion like everyone else sometimes can’t get to the scene to begin managing it and have resorted to abandoning their vehicles to walk to the wreck. “That’s obviously not safe, not effective and certainly detrimental to quick lane clearance,” said task force co-chair Mike Wood of the Virginia Department of Transportation. Among the report’s suggestions that can be acted upon immediately is “training, training, training,” said task force chair Joseph Sagal of the Maryland Department of Transpiration. “If we train before the incident occurs and we know each other and we’re not exchanging business cards on the highway, we can work swifter, more efficiently and quickly get off the roadway. The quicker we get off the roadway, we reduce the chances of secondary crashes,” Sagal said. And, he added that getting off the road as quickly as possible saves lives. Communication and coordination of mutual aid agreements already in place was another of the report’s suggestions. “We’re not necessarily talking to each other the way we should be today,” said Council of Governments Chair Matt Letourneau. He used an example of how a crash is handled on a bridge that’s between D.C. and either Virginia or Maryland, or between the two states. “Right now, for example, we may not have tow trucks stationed in the right places,” Letourneau said. Tow trucks could get more use. A suggestion for immediate consideration is for jurisdictions to increase the number of service patrols in general and on federally controlled roads, such as the George Washington Parkway. Also, the portion of the report detailing strategies worthy of additional investigation and discussion included information about other metro areas that offer financial incentives to contractors for clearing incidents from roadways quickly. Make better use of technology. Strategies that could use more attention according to the report include the use of drones to document serious crashes to get them off roads more quickly, improving and expanding use of traffic cameras; developing a smartphone app so emergency response road crews can share real time information. Drivers, too, have a role to play. One of the report’s suggested action plans is for localities to come up with money for a regionwide driver safety campaign.